These waterproof foil ponchos feature a hood and heat sealed seams. 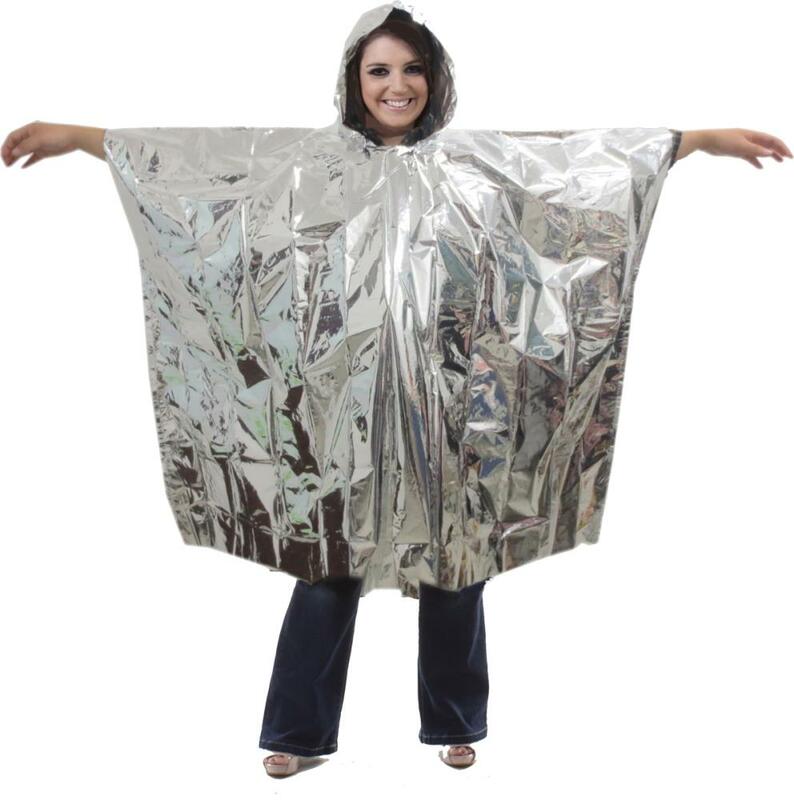 Emergency foil ponchos can be used in a range of urgent situations including being used as a hypothermia poncho. Adult waterproof foil poncho with hood, 50″ x 80″, 40″ from the shoulder to hem. Construction 0.025mm Foil-PE sheet. Price: £12.99 per pack plus postage & packaging & VAT.